The ability to hear is extremely critical to daily life, more so among children because hearing is an integral element that aids an infant's emotional, social, and cognitive development. Even a partial hearing loss can impact a child's speech abilities. While this sounds utterly grim, there is a silver lining—hearing problems if spotted early can be treated. As such, infants are put through a hearing screening test, so if there are any hearing difficulties spotted at that time, these could be corrected. What Is A Toddler's Risk Of Diabetes? Are There Toddler Ear Infection Home Remedies? Toddler hearing loss has numerous causes and there are many instances where no one particular cause can be detected. However, the causes can be broadly divided into two categories: acquired and congenital. 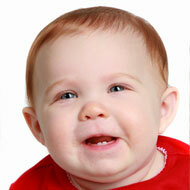 Congenital implies hearing difficulties developed at birth. This also includes genetic reasons, i.e., it can also occur if the family has a history of childhood hearing loss. Acquired hearing loss causes include being kept in a neonatal ICU shortly after birth, exposure to loud sounds. Sometimes it could be a result of medication or an illness and sometimes it’s a gradual process, which starts out a numerous ear infections. 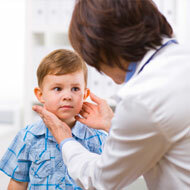 Ear infections, as a matter of fact, largely contribute to hearing loss in toddlers. Hence it’s important to spot the infection and treat it quickly. As said earlier, correction or treatment of hearing loss depends on how soon it is spotted. Even if your child has been screened for hearing loss as an infant, it is advisable to get regular screening done, ideally at the following ages: 2, 4, 5, 6, 8, 12 and 18 years.This is just a rough guideline, if you don't screen at these times, ensure you recognize signs, if any, and screen hearing immediately. It's always sensible to know the various speech and hearing milestones your baby should have reached. If your child is having trouble with his speech or is not responding to sounds then it's time to consult a doctor. Lack of response to sound needn't always indicate a hearing loss; it could also be an infection. Besides inability to speak, other symptoms to look out for in your toddler include frequent lack of attention, learning and understanding difficulties. You may find that your toddler is constantly getting too close to the TV and is always increasing the volume. The child hasn't been able to progress into conversation and is constantly responding incorrectly. If in fact, a toddler suffers from loss of hearing, one non-medical and basic treatment is a hearing aid. Hearing aids, as most of us know, amplify sound into the ear, so the person can hear sounds more clearly. The most common kind of hearing aids are the ones worn in or behind the ear. But there are other kinds too - some are worn on the body, yet other specialized aids which may be attached to the bone of the skull. This sends sound waves directly to the cochlea. The type of hearing aid to be used depends on the toddler's requirements. Sometimes, the hearing loss is only mild or partial, in which case, the child could be put through auditory and speech therapies to help overcome the loss of hearing. If the hearing loss is deemed permanent, the toddler can also be trained to lip read, so as to not stall his social and speech development. There is no cure for a hearing loss that arises out of birth defects. There are only temporary or attachable aids, which must be used at all times.However, if it is an infection, then this can be treated with ear drops and medication. Hence, it's vital to spot hearing difficulties as early as possible and even more imperative to diagnose the cause of hearing loss.